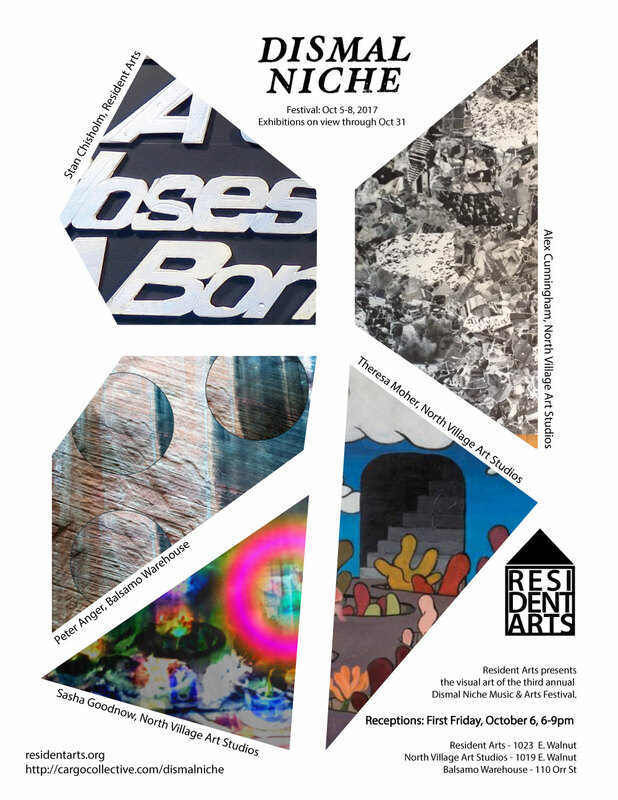 Resident Arts presents the visual arts showcase for the third annual Dismal Niche Music and Arts Festival. This entry was posted in 2017, Exhibitions. Bookmark the permalink.